Paradise Awaits! 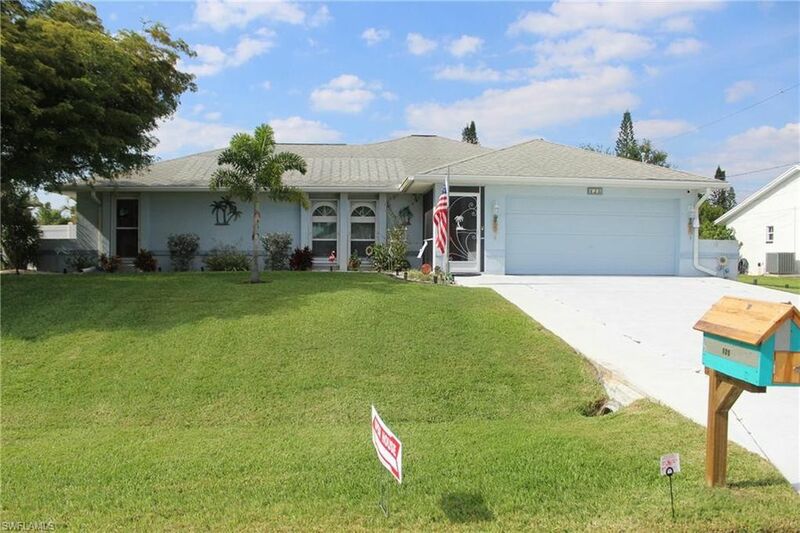 Open concept, 3/2 Split Bedroom, Pool Home in Coveted SE Cape Coral ... Is waiting for YOU! You will love all the NEW KITCHEN appliances; Refrigerator, Microwave, Cooktop Stove, & Dishwasher. Kitchen also features a large pantry, granite countertops, and an Island breakfast bar facing the great room. Cathedral ceilings enhance the airy Open feel. NEW Gorgeous BAMBOO flooring, transports you to your pool side lounge. Bask in the sun on your beautifully resurfaced Lanai and enjoy entertaining friends and family under cover of the brand NEW screen enclosure - or simply take a refreshing dip in your heated pool - NEW pool heater. Privacy is not problem - the yards lush grass, hedges, fruit trees and tropical landscaping, are surrounded by a NEW 6ft. high White Veranda Vinyl Fence. Storm shutter protection on all external windows. Take advantage of all the conveniently located dining and entertainment in downtown Cape Coral, Ft Myers or the beach all just a few miles away. Live the dream in this perfect pool home - call today for your showing!